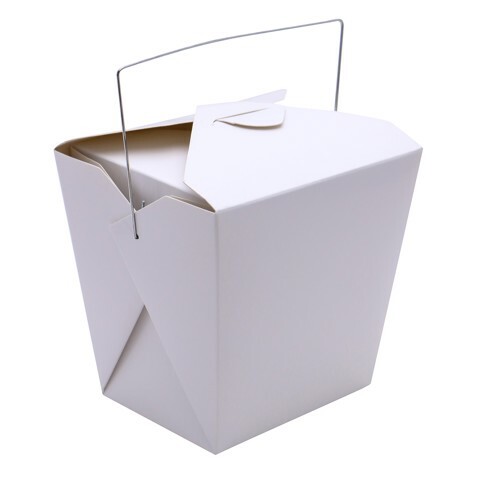 Party Noodle Box White 5Pk. Assembled Size: Top 11.5 x 9.5cm l Bottom 9 x 7cm l Height 11cm. White. 300gsm White Paper. 177g Packaging: Polybag with Colour Label with PVC Hook.